LOVE my Save the Dates!Not even sure how I stumbled upon this website but I'm so glad I did. Found the perfect magnet to announce our wedding date. The magnet is of great quality - just so impressed. When I had made the order I didn't realize I had submitted double the order. A rep from New & Blue called me within minutes of placing the order to confirm the order number - so glad she did, because I completely messed up! 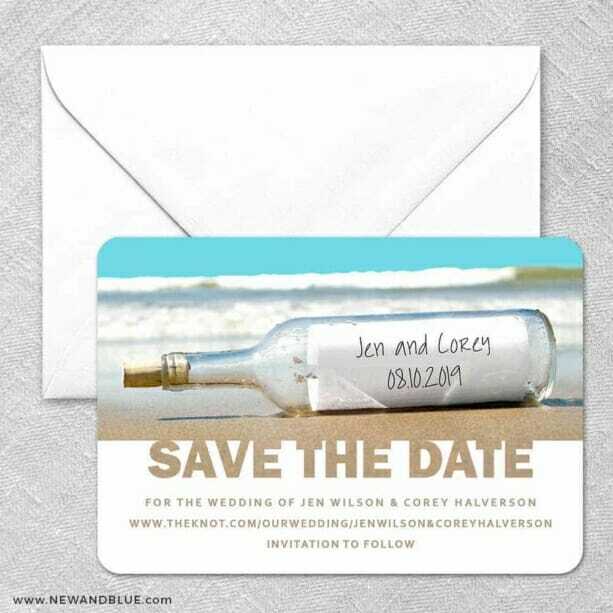 Can't wait to order our official invitations through New and Blue!